Today’s card uses the Time for Tea stamp set and the co-ordinating Spot of Tea Framelits. Emboss the front of the Calypso Coral card base with the Simple Stripes Textured Impressions Embossing Folder. Die cut the large frame on Whisper White and stamp a sentiment with Calypso Coral ink. Stamp the leaf branch twice and the flower 5 times on Whisper White with black ink. 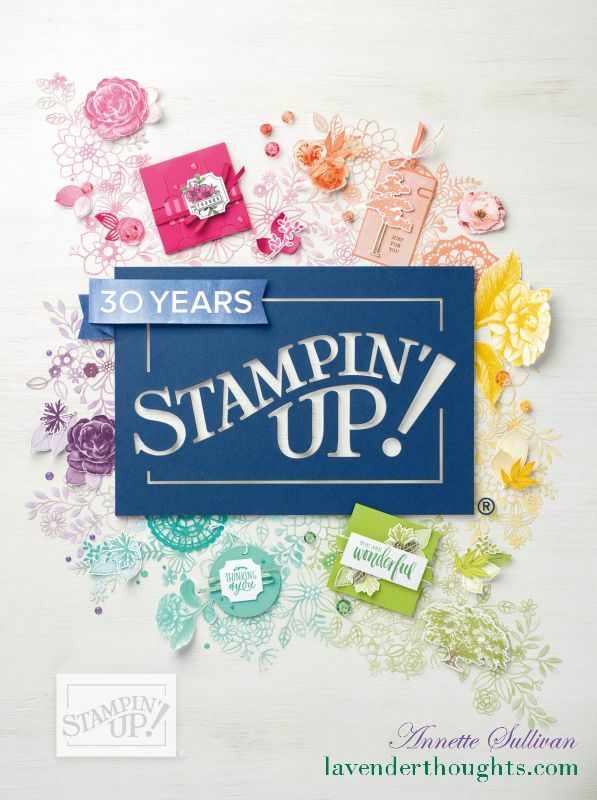 Colour the images with Stampin’ Blends. Attach the leaf branches at the top and bottom of the frame, and add some flowers. Tie a small piece of ribbon to each side of the frame.